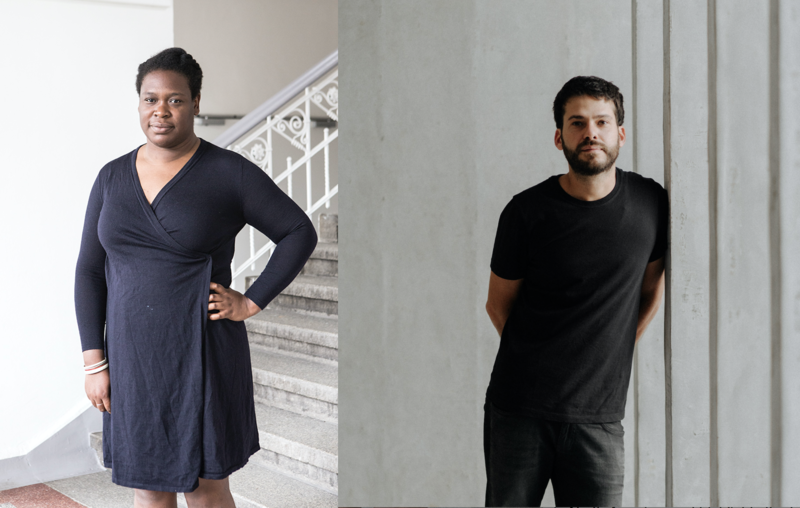 The Chicago Architecture Biennial has selected two co-curators for its 2019 program, educator and curator Sepake Angiama, and architect and urbanist Paulo Tavares. Along with creative director Yesomi Umolu, Angiama and Tavares will round out the curatorial team of the Biennials’ third installment, launching in September 2019 and running through January 2020. An educator based in Europe, Sepake Angiama’s work investigates the relationship between art, education and place. Angiama recently served as Head of Education for Documenta 14, where she initiated a work titled Under the Mango Tree: Sites of Learning in cooperation with the Institut fur Auslandsbezieghugen, a project that gathers artist-lead social spaces, libraries and schools and unfolds discourses around decolonizing educational practices. Paulo Tavares is an architect based in Brasilia, where he serves as professor at the Faculdade de Arquitetura e Urbanismo, University of Brasilia. In 2017, Tavares created the Agency Autonoma, a platform dedicated to urban research and intervention. Tavares’ work is concerned with conflict and space as they intersect with cities, territories and ecologies. Tavares is a 2017 Graham Foundation grantee. Both co-curators have research-based practices that look thoughtfully at how the built environment relates to social structures on an international scale, factors that will undoubtedly contribute to defining the theme of the 2019 Chicago Architecture Biennial, to be announced later this fall. A Chicago-based curator with a background in architectural design and curatorial practices, Yesomi Umolu was announced as creative director of the Biennial in March. This is the first time in the Biennial’s history that the program has selected one creative director and two co-curators. For the third year, the 2019 Chicago Architecture Biennial will provide a platform for spatial experiments and architectural practices that demonstrate how innovation and creativity can better our lived experience, with its intersectional exhibits radiating across Chicago from the program’s home base at the Chicago Cultural Center. The opening of the 2019 Biennial will align with EXPO CHICAGO, the international Exposition of Contemporary and Modern Art.